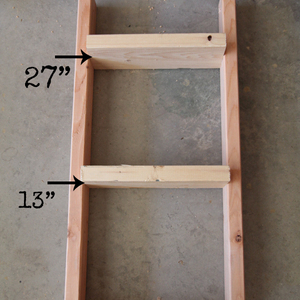 This is a fun and easy shelf to build. 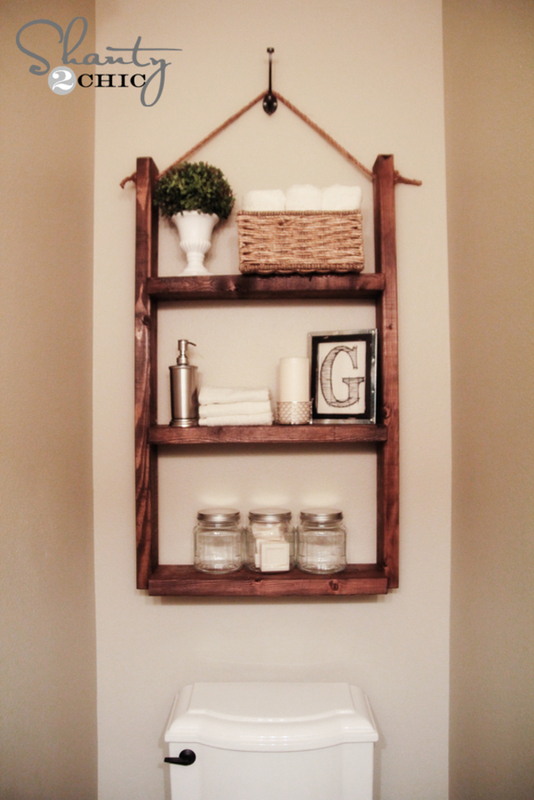 It works great in the bathroom or any blank space for extra storage. 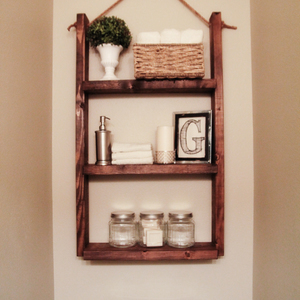 You only need one 2x4, one 2x6 and a few tools to create this great hanging shelf. Next, attach your boards! We like to pre drill on this part. It helps keep the wood from splitting. You can see here where to attach all of your boards. 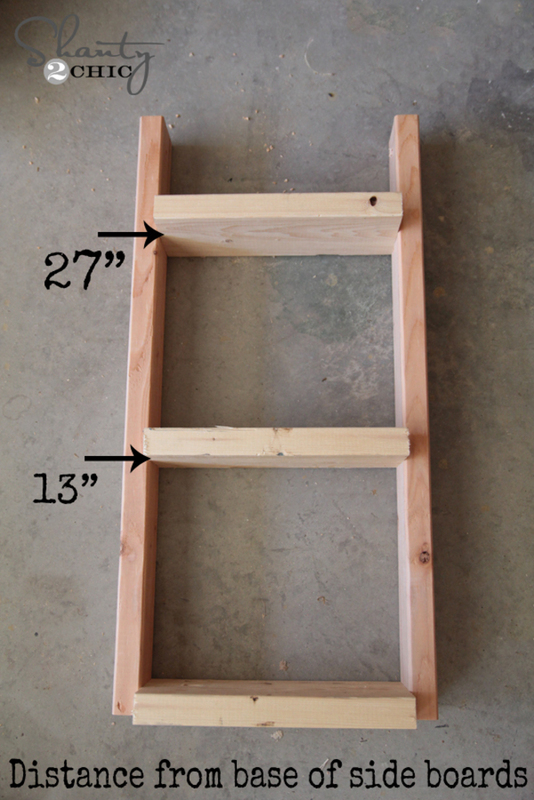 Just run a line of wood glue at each joint and use your drill to attach them with 2 1/2" wood screws. Stain or paint your piece. Add a piece of rope between your holes, and add a knot on each end to hang. You can cut the rope the length you need it. Attach the hook to the wall. Make sure to use an anchor if you can't attach it directly into a stud. Hang your shelf from the hook and you are done! For more how-to projects from Shanty2Chic, visit shanty-2-chic.com.